'Canal Street Blues' as a parade number. unfortunately petered out as he prepared for university). 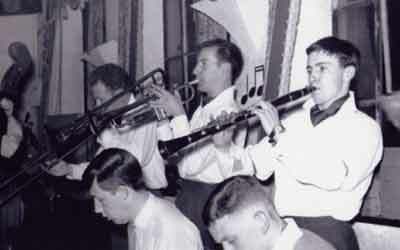 with 'Chico' Thompson (alto sax) and Ronnie Blake with Mart Gallagher (banjo) were hotly debated. 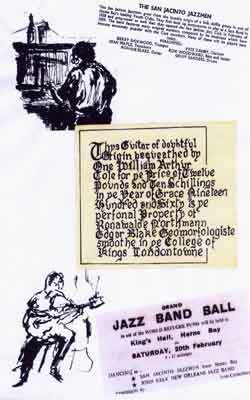 The band's history after 'Jazz Saturday' (1960) is for others to tell. leaving £28 to donate to the WRF charity. also played. 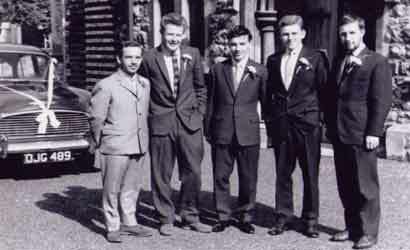 Street, three of whose members were also St. John's choristers. rhythm section off-picture, left. 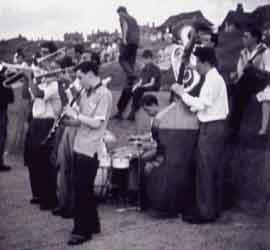 Dancers on 'alternative' instruments for which he became famous). promenade are Mary Woodward and Sylvia Perrin. 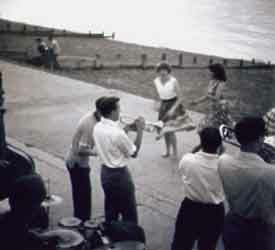 1, The decision to hold a Club session Al Fresco was of Mary Woodward. 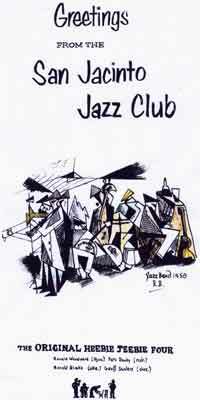 the London jazz scene as a professional. Danby was presumably present but off-picture right). Photographer unknown. 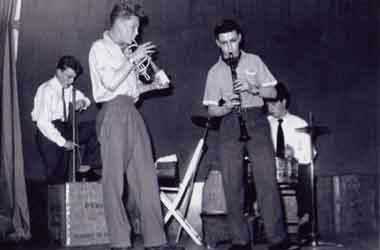 2, Vic still appears to be the band's regular trumpeter. professionally with the SJJB. Soon both Mike and Roy were, for different reasons, to quit the band. due to take up a place at university later in the year, Sean Maple took over around this time. 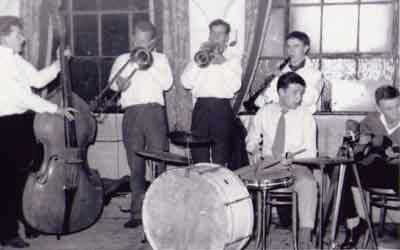 2, Roy soon moved 'across' to join the Tishomingo Jazz Band which played in the Dixieland / Mainstream style he preferred. 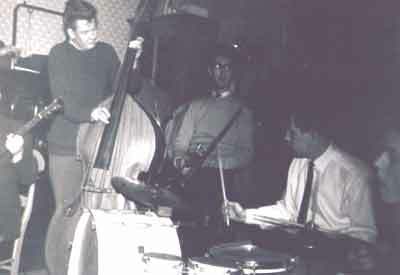 Geoff Sanders (drms) and Ronnie Blake (gtr). Photographer unknown. 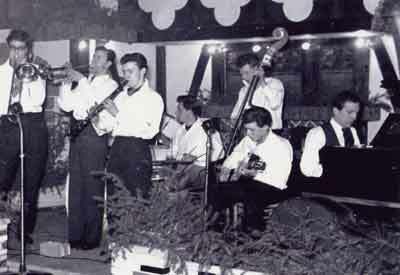 2, The band appears to have moved its 'stand' from the gable (south) end of the room to the longer (west) side with windows. 3, What has happened to Geoff's bongos which seem to have been deleted from his kit. 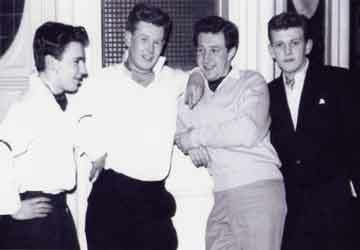 left to right: Bill Cole, Ron Woodward, Pete Danby, Ronnie Blake (best man) and Geoff Sanders. The exact date is difficult to verify as invitations, the service sheet and related correspondence have been mislaid. were only children and the whereabouts of their own offspring is also unknown.